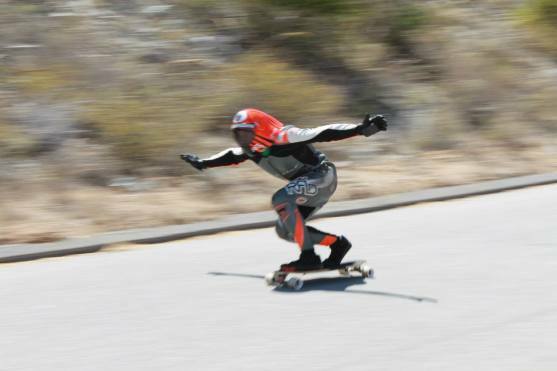 » Angies Curves is this weekend ! Angies curves, organized by Sector9 and the Ian Tillman foundation, is the 2nd IDF World Cup of the season. It takes place in hot california, near San diego. The track is for sure one the gnarliest ever seen on a race. Douglas Dalua, 2012 World Champion, said yesterday about this track "one of the sacriest track i have ridden in 15 years...Teutonia is a third of the steep we got here ! "...so you can believe this track is fast. Friday was practice runs, qualifications will be saturday...stay tuned !